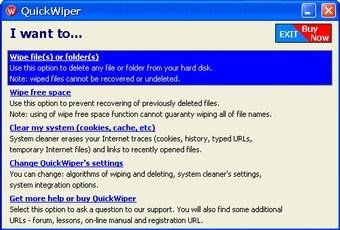 QuickWiper – WIZARD lets you wipe files in a convenient manner. It has a wiping wizard, which helps wipe necessary files. Advanced users can do wipe by dragging and dropping files on QuickWiper`s icon or window. It is an advanced version of QuickWiper. The benefit of this program is the easy to use wizard menu.